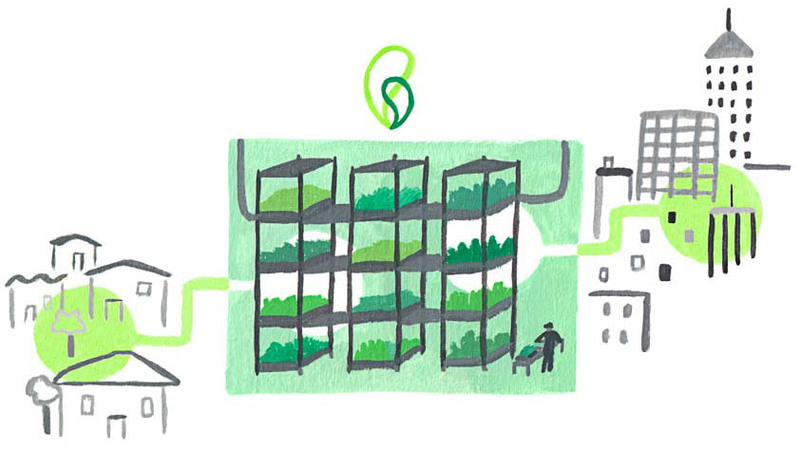 The startup establishes vertical farms indoors within urban areas. Consumers get access to fresh produce and not stuff that's been packaged and shipped over a week as a result. Last year, we found out we’re in the post-truth era (a claim that I am not going to back with evidence). Apparently, we’re also in the post-organic era, or at least that’s what New York-based Bowery Farming would have us believe. The operation is based on the assertion that it isn’t just enough to grow organic produce but to revamp foundational practices in the growth and distribution of crops. The result is a farming methodology executed indoors, underpinned by high-tech systems. Investors seem to confident in betting the farm on the startup – to the tune of $7.5 million in venture funding recently. Bowery Farming’s product deals with every stage of the agriculture lifecycle. It starts right from the seed stage, during which partner companies that have spent almost a decade in research and development provide the ideal seeds. These seeds are planted in indoor vertical farms. These artificial environments are lit using LED lights; they can be used to mimic the full spectrum of incident sunlight. Pesticides, of course, are a big no-no. The farms are constantly monitored using computer vision, and the analytics obtained from the process are used to fine-tune results like flavor or texture of the produce. The novel farming methodology is not just a gimmick; it has a number of important benefits. The first is that the produce always reaches consumers while it is still fresh. That’s because these indoor farms can be set up within urban areas and don’t need to be tucked away on the outskirts of cities like most other farms. The short delivery distance ensures that the produce can be consumed on the same day it is harvested, while its flavor and nutritional value are still intact. Bowery Farming has a few other numbers to quantify the benefits of its system. For starters, it makes 95 percent less use of water than traditional farming. The vertical arrangement of crops makes the process 100 times more efficient in terms of volume of produce per area. The easily modifiable indoor environment ensures that growth is not dependent on the seasons or weather. The startup also handles the distribution of the produce it grows. Vegetables currently on the roster are baby kale, butterhead lettuce, arugula, and basil, with more expected to be added in the future. The product is sold to restaurants and grocery stores. 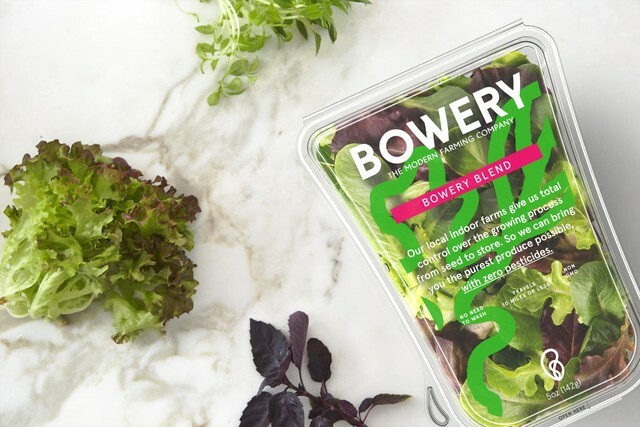 Those in the New York metro area can find Bowery Farming’s produce at certain Whole Foods and Forager’s Market. It is also sourced by the restaurants Craft and Fowler and Wells in New York City. Just the efficiency alone for one of these things is enough to put down the money and give it a try. I really like that the lights are LED for a system like this. Besides the fact that the thing will give you a new way to farm. It will be completely efficient. Vertical farms and gardening are booming. So many people are moving towards that to save space I think and possibly, it will save water? I am reading more and more about these types of operations. It really is amazing when you see what can be done with a little engineering and thought to plan out the future. Great work by another company trying to solve a problem.